How and What does Reiki Heal? During a Reiki session, whether we are laying hands on ourselves or others, Reiki healing energies are channeled through the practitioner and are directed primarily out of the hands to the client. Reiki flows throughout the person’s body and energy field to release energies that may be blocked or distorted, thus creating balance in mind, body and spirit. Restoring balance provides many health benefits such as relaxation, reduced stress or pain, better rest, more positive outlook, etc. Reiki also fills a client with light and love, and may provide information about the original cause of the problem. It is well known that our minds are the great makers of dis-ease. What we think on a daily basis creates the energy that resides in the mental part of our human energy field. If our thoughts about any given situation are negative, they naturally give rise to negative emotions, which reside in the emotional part of our field. If we do not process these negative thoughts and emotions by gaining a greater understanding or acceptance of them or letting them go, they may eventually “solidify” as blockages or distortions in the flow of energy that keeps us healthy. In fact, they can eventually make us sick. Obviously, the key to maintaining good health is to keep our energy clear and freely flowing. Reiki healing energies help us do that. Reiki has been known to help heal every form of illness there is. However, it is important to understand human nature as we practice freedom of will to accept and implement changes in our daily life that either serve or go against our own well-being. In other words, we create our own well-being or ill-being largely through choice. We may not see the physical, mental, emotional, or spiritual predicaments we find ourselves in as our personal choice. But, if extrapolated far enough, the evidence may become clear that we’ve willingly used or laid waste to the gifts or handicaps we were born with as the backdrop for the drama we enact during this lifetime. So, healing from a Reiki session is not a guarantee. Reiki works in concert with one’s intention, attention, and manifesting action. Reiki is subtle energy that is always beneficial and never does harm. At one end of the spectrum, it may merely provide the relaxation one needs to clear the hurdles of the moment or day. On the other end, it may help create the miracle that most of us hope for. The key is to let go of that which no longer serves us and to feel genuine gratitude by accepting the process of Reiki healing that is exactly right for us in this moment of time. 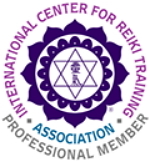 With the proper initiations received in a Reiki class, Reiki can be applied to oneself, other people, animals, personal or world situations, the Earth, environment, universe, other dimensions, past, present, or future, locally or at a distance. The sky is no limit.